844.678.5707 | 910.458.4229SAVE 40% SITE WIDE ORDER TODAY! Here you will be guided through all your options. Starting with your choice of sizes based on the resolution and aspect ratio of your image. You can crop, choose side wrap, stretcher bar depth, gloss or satin finish, as well as framing. Have fun creating your masterpiece! We print the finest paper Giclee prints on the planet! We have 4 different papers to choose from as well. Paper prints are perfect for making matted and framed art. They are also great for portfolios and presentations and offer an excellent Giclee print alternative to canvas prints! The custom order form is for Canvas Prints Larger than 40×60, Images on File with us and Hi-Res Scanning or doing Art Copy Work. 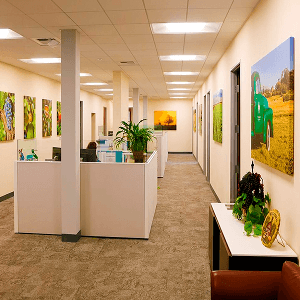 Also for commercial orders such as Large Orders for Installation Projects for Hotel Art, Office Art, Hospital Art Installations, and Corporate Art. For image replacement and file evaluation. Price any custom size print along with estimating shipping costs. We offer fine art reproduction and high-res scanning services. Browse our gallery for photography & paintings. Prints come as ready-to-hang wall art. 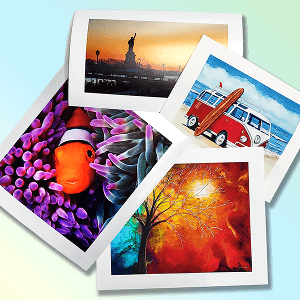 If you are looking for a canvas printing company who truly cares about providing only the highest quality products and next level service, you have come to the right place. At Canvas Giclee Printing we offer photographers and artists unsurpassed museum-quality print reproductions. As professional photographers and artists ourselves, we know how a photograph or an art reproduction will look its best, and we do just that. We strive to offer the most affordable canvas prints and paper giclee prints with museum quality results every time! Check our client testimonials to see what our clients say about us! Our canvas giclee printing services cater to photographers and artists who require only the best when it comes to giclee photo printing on canvas and fine art paper. We are professional photographers with more than 30 years of experience in art reproduction and photo printing. We want you to become a repeat customer while making you ecstatic with every print you receive. We feel like you are a part of our family, and we have built our reputation by proving this to our clients every day. Check our testimonials to see what our clients say about us! If you are a photographer who needs your photos printed on canvas or if you need paper giclees to showcase your work, we are the printing company for you. We inspect every image you upload and do minor clean up and retouching at no charge. Upon your request, we can modify your image any way you wish. We correct density and color before printing, and if your image happens to be out of the ideal visual gamut for printing, we will call you to discuss your options. Professional artists and painters consistently choose our company for fine art reproduction and art copy services. With our 30 plus years of experience, we know exactly how to light your artwork and capture your original in all its glory! We are then able to produce the most color-accurate reproductions of the original work; hands down. Artists may choose gallery wrapped canvas prints, fine art paper giclee prints, or one of our other art reproduction services such as high resolution scanning and printing on aluminum. For our professional clients, we offer delivery of your prints directly to your customers using our blind drop ship program; meaning no labeling using our company logo, etc. Our competitive pricing also means larger profit margins for you. We enjoy getting to know our artists and love to help you succeed by making your prints and original art look its very best! We use the finest materials to reproduce your photos on canvas: fade resistant canvas, archival inks and straight poplar wood. You get a canvas photo print crafted to last 100 years! Learn why the pros use us for photo printing. We really love what we do. Our job is to impress you, and that’s what we do. When you receive your order, we feel honored you chose our company and we love getting your feedback. Hence, we are going to produce the finest canvas prints or paper giclees you have ever seen. Hear it from the pros. We have the most affordable prices on the internet for museum quality canvas prints. And our customers will tell you our canvas prints are simply second to none on the web! Compare our canvas printing prices to the rest. There’s no doubt you will see the quality in our canvas printing and stretching. You get impeccable customer service, free image enhancements, and ready-to-hang prints right out of the box – as well as our custom boxing, shipping and handling. See our quality. The best way to turn a favorite photo or an art reproduction into a striking piece of wall art for display is the giclee printing process! The fun part is that you have many options for the substrates to be printed on for example. For paper prints, we print on 4 different giclee papers: Fine Art Watercolor Textured, Fine Art Matte, Photo Gloss and an awesome product called Metallic Paper! We also print on the finest canvas made on the planet! We exclusively use “Breathing Color” for our canvas and we offer a Gloss Surface, a Satin Matte, and a metallic surface called Silverado! Super cool! There are a few important things you must understand prior to turning over your digital images to a Digital Photo Printing Service. When ordering a canvas or paper giclee online, the quality of your giclee print will absolutely depend on the resolution and integrity of the digital file you submit to us for printing. When you use the Get Started button on our site to begin the order process, you will be guided through the steps for creating your art in just a few easy steps! What is really fun about the print process is choosing your options. During one of the first steps, our system automatically analyzes your image and you will only be given suggested sizes for printing at acceptable sizes and resolution to achieve the perfect print! NOTE: these visual options are not part of the Custom Order Form as this ordering process is more of a manual way of submitting an order and is used only for large custom size print orders that need very special attention. We are the Kings of SUPER SIZE CANVAS PRINTS, known as Large Format Printing. And we are specialists in printing large canvas prints in sizes up to 54×120 inches gallery wrapped and ready to hang! There’s an old saying that “A guaranteed way to succeed in life is to become the best at something.” When it comes to the highest possible quality giclee canvas printing, Canvas Giclee Printing is the best there is. I have just received my first giclee print from Canvas Giclee Printing. What a super job! I am thrilled to bits. I have used other companies in the past, but you are top notch as is your excellent service. It was also reassuring to know that my precious original was in the hands of professionals. Thank you! I want to say a big THANK YOU for making my first canvas wrap order a raving success! My client called it “stunning” and is over-the-top pleased with the results. I will definitely be back! Guys, I just want to thank you for the canvas print I recently received. Amazing. I have used canvas printers from all over the world and I would have to say value and quality from you are outstanding! 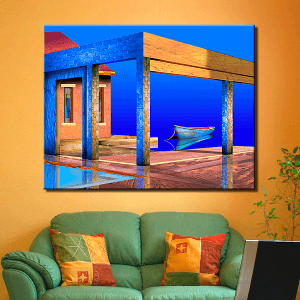 Let Canvas Giclee Printing stretch your canvas prints for you. Copyright © 2019 Joshuaimages inc, DBA Canvas Giclee Printing. All Rights Reserved. Carolina Beach, NC.